I hope no one minds me posting this, as I was never sure who the moderators are for this forum. I also hope this is the right place for this as it's not for sale. 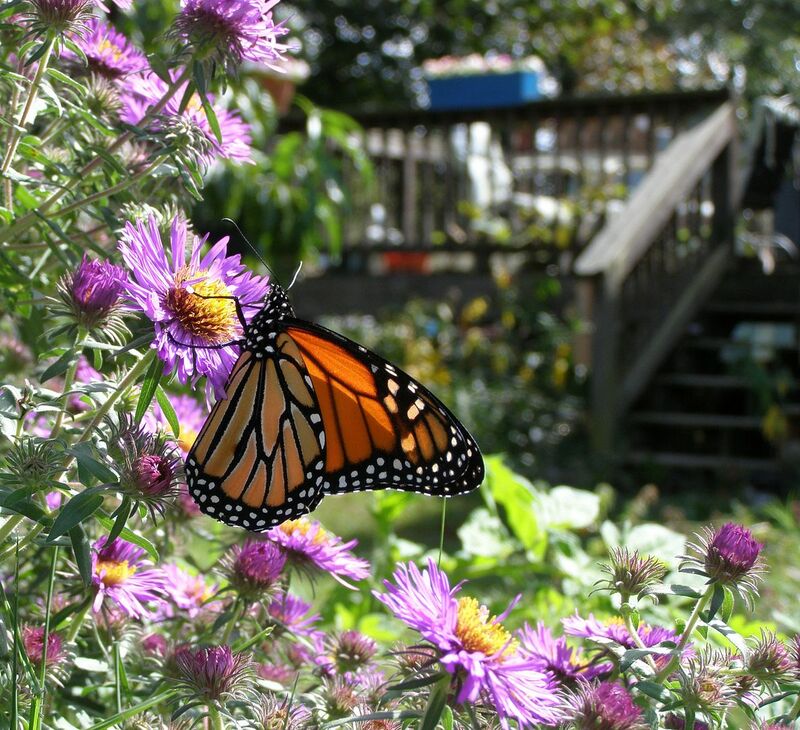 Last year I learned New England Asters are a favorite food of the Monarch Butterfly. And I got a shot of one with my patch of Milkweed in the background. Original Photo. That's kinda pretty in a stained glass kinda way. I like it. Did you do it?